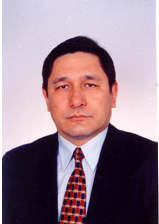 Prof. Askar KUTANOV is the Regional Coordinator for EC Central Asian Research and Education Network (CAREN) Project, and he actively promotes regional and international collaboration for Central Asian NRENs. He is Academician of the National Academy of Sciences, Kyrgyz Republic. He has background in physics, and got Doctor of technical sciences degree in the field of Optical Information Processing in 1992. Askar Kutanov was research fellow and invited professor at Osaka University, Japan from 1993 to 1996. He worked as President-rector of the Academy of Management under the President of Kyrgyz Republic in 1997-2004 and he was representative of Kyrgyz Republic to NATO Science for Peace and Security Committee at that period. He got State award of the Kyrgyz Republic in the field of science and technology for 2004 for research & education networking development, and awarded by Certificate from NATO Assistant Secretary General for Public Diplomacy in recognition and appreciation for his invaluable contribution to the success of NATO Virtual Silk Highway Project (2001-2009) for Central Asia and Caucasus regions. Prof. Askar Kutanov will talk about latest development of research infrastructure of the Central Asian Research and Education Network, and international collaborative research & education activities in Central Asian countries that tackle Global Challenges. CAREN Project promotes the use of the network for collaborative research and education programmers and catalyzes international collaboration of CA NRENs users with their partners in Europe and Asia. Such applications as disaster risk management, glaciers monitoring, e-learning, telemedicine, GRID are most attractive areas for international and regional collaboration. Sustainability of CA NRENs, governance of research infrastructure, implementation of the regional and national initiatives will be discussed. #Video #interviews with #icri2014 speakers now available at http://t.co/sVeEPCNP3M. 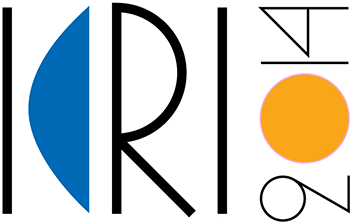 See what they say about RIs and the Conference!